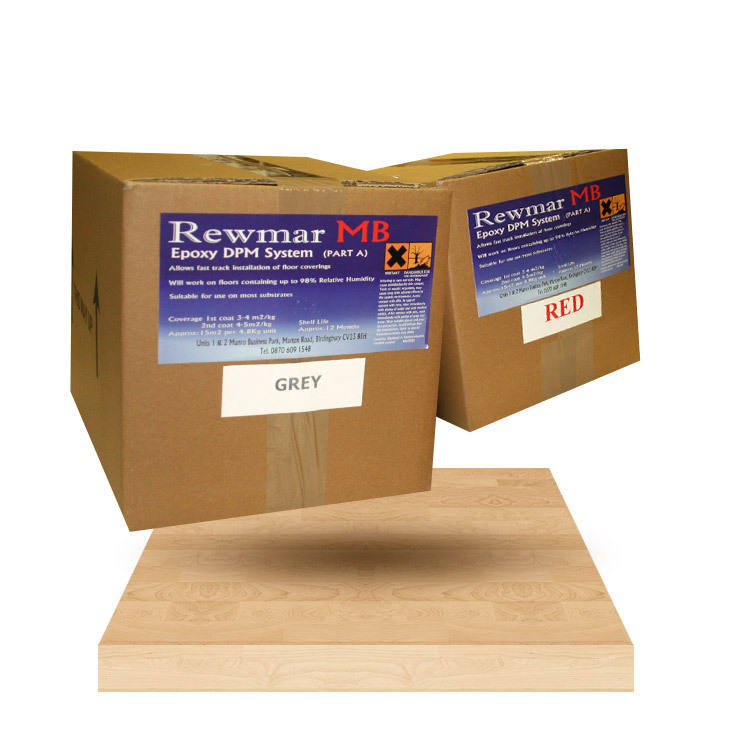 Rewmar MB is a two part, two coat epoxy liquid DPM that will work with screeds up to 98% RH. It is available in Red & Grey for ease of application. One 4.8kg pack will cover 14.4 – 19.2m² on a first coat application and 19.2m² – 24m² on a second coat application. It can be used as a primer when the moisture content is below 5% (only one coat), and as DPM when it is over 5% MC and up to 98%RH (two coats are required). Rewmar Epoxy DPM System is a two part, two coat, epoxy damp proof membrane. It is designed to work on all sand / cement screeds with a maximum relative humidity of 98%. It is available in two colours for ease of application. It can be used as a primer if the moisture content of the screed does not exceed 5% (one coat only) or as a liquid DPM (2 coats required).